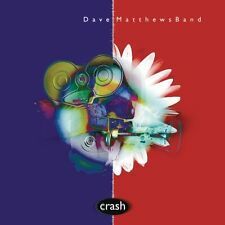 Dave Matthews - Crash Anniversary Edition [New Vinyl LP]. Artist: Dave Matthews. Title: Crash Anniversary Edition. Format: Vinyl. Condition: New. Limited quadruple vinyl LP pressing. Live at Red Rocks 8.15.95 is an album by the Dave Matthews Band, released on October 28, 1997. 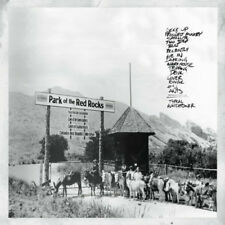 It was recorded live at Red Rocks Amphitheatre in Morrison, Colorado on August 15, 1995. Rock & Pop Music. Sheet Music / TAB Music. DVD - Music. Music Calendars. Vinyl - New. Vinyl - Pre Loved. DVD - Movie. Artist: Dave Matthews. Christmas Song Dave Matthews Band 10:54. Attributes: Digital Download. Format: Vinyl. Condition: New. One Sweet World 5:18. Release Date: 2014. Title Dmblive Benaroya Hall Seattle 2002. G1 Dave Speak. Led Zeppelin I II III IV - 1 2 3 & 4 Rem. 250ml Anti static Spray Vinyl LP Record. GrooveWasher Record Vinyl LP Cleaning Ki. Occasionally we may open an LP to confirm any colour variant. We travel for large collections. Finders' fees available. WE HAVE DESCRIBED THIS ITEM TO THE BEST OF OUR ABILITY. ONE Comic Book. We look forward to hearing from you. ONE 12" Album/LaserDisc. ONE 7" 45rpm Record. Year: 2018. Artist: Dave Matthews & Tim Reynolds. Format: 4 x 12" (White). NOTES: Factory Sealed w/ Hype Sticker. Shrink tight and fully intact. No real signs of shelf wear. Sleeve/Box: Sealed. Album: Sealed. By: Dave Matthews. Artist Dave Matthews. C2 Lover Lay Down 5:33. Title Live At Luther College. Genre Rock. Led Zeppelin I II III IV - 1 2 3 & 4 Rem. 250ml Anti static Spray Vinyl LP Record. GrooveWasher Record Vinyl LP Cleaning Ki. Format: 2 × Vinyl, LP, Album, Numbered (#4215). • Guitar, Vocals – Dave Matthews. • Producer – Dave Matthews Band, John Alagia. Except "Minarets" and "Seek Up", Recorded at Flat Five Studios, Salam, VA.
LP 2 – PUMPKIN RECENTLY PROMO. MADE IN VERY SMALL QUANTITY ULTRA LIMITED VINYL, with ONLY 4000 MADE. LP 1 – RECENTLY EP. THIS INCLUDED PUMKIN RECENTLY. Recently (Radio Edit). THIS WAS MADE BY Legacy records. We are NOT responsible for this not being included, or being inoperable in your country or being out of date. Any query relating to inclusion or use of a download code must be referred to the label of the release, this is a condition of sale. This is a wonderful record. Has a saw cut lower right corner. Dave Matthews Band Live Red Rocks SILVER Vinyl Record Store Day 2014 RSD SS 4LP. Condition is New. This is a limited numbered edition #322. A SIDE: funny the way it is. 2009 NEW MINT CONDITION RECORD VINYL & MINT Condition Sleeve. THIS WAS MADE IN USA ONLY. MADE IN VERY SMALL QUANTITY ULTRA LIMITED VINYL. IT IS LIMITED TO ONLY A SINGLE PRESSING RUN WORLD WIDE, these were pressed in one batch and are now discontinued. Music Label: Legacy 1999 / 2017. Live at Luther College is a live album by Dave Matthews and Tim Reynolds recorded at Luther College in Decorah, Iowa. Live album by Dave Matthews and Tim Reynolds. Artist: Dave Matthews and Tim Reynolds. 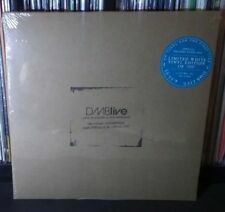 Live At Luther College - Dave Matthews Free Shipping! Artist Dave Matthews. Live At Luther College. At The Nile, if you're looking for it, we've got it. 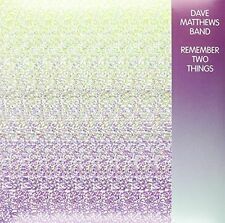 Dave Matthews - Remember Two Things New Deluxe Ed Vinyl Digital Rare #2735. Condition is New. Shipped with USPS Media Mail. Double vinyl LP pressing in gatefold jacket. Includes digital download. The album is their first since 2012's Away from the World. 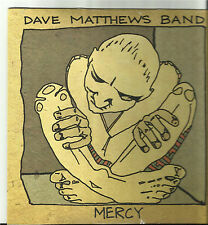 Working between tours at studios in Seattle, Los Angeles and Charlottesville, Dave Matthews Band chose to record with several different producers, including John Alagia, Mark Batson, Rob Cavallo and Rob Evans. Artist: MATTHEWS,DAVE. Format: VINYL. We cannot be held responsible for delays if you do not use this reference. You are also entitled to have the goods repaired or replaced if the goods fail to be of acceptable quality and the failure does not amount to a major failure. Twentieth anniversary edition. Limited double 180gm vinyl LP pressing in gatefold jacket including digital download. Produced by Steve Lillywhite (U2, The Rolling Stones, Peter Gabriel, The Pogues), and originally released on RCA Records on April 30, 1996, Dave Matthews Band s Crash brought the band three Grammy nominations and one award for Best Rock Vocal for the hit single "So Much To Say.". Artist: MATTHEWS,DAVE. Format: VINYL. We want you to be 100% happy with your order. One of our dedicated team will personally respond to you as soon as possible. You are also entitled to have the goods repaired or replaced if the goods fail to be of acceptable quality and the failure does not amount to a major failure. Ian Matthews Stealin' Home, Go For Broke, Fairport Dave Swarbrick 3 Lps Lot! Fairport (fairport convention) featuring Dave Swarbrick - "Gottle O' Geer ; the cover looks okay (vg, crease bottom right) and the vinyl looks excellent to very good. Ian Matthews - Go For Broke; the cover looks okay (light stain on right) and the vinyl looks very good. Trending at C $25.99eBay determines this price through a machine-learned model of the product's sale prices within the last 90 days. Dave Matthews & Tim Reynolds - Live at Luther College.